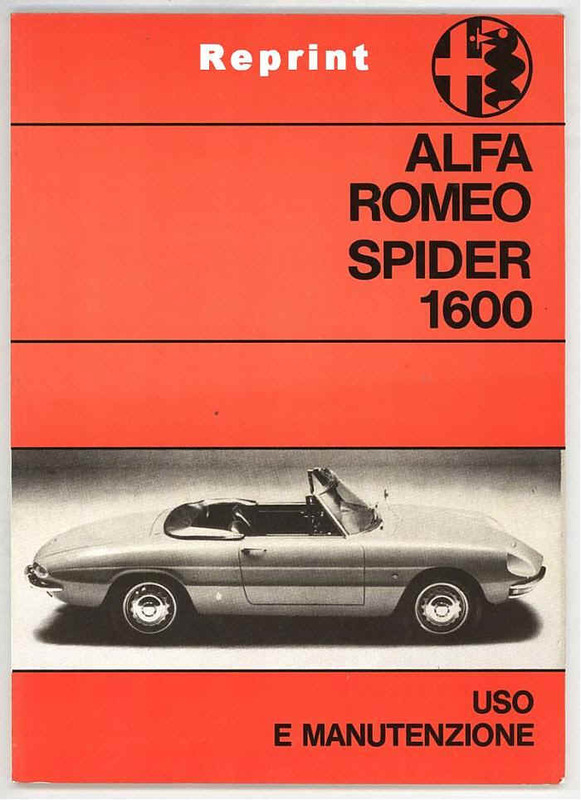 Someone in Italy is reprinting the Spider 1600 (Roundtail) and the GT 1300 Junior Instruction Books. Both are Italian language versions. The two in the picture below are reprints. At a Mostre Scambio I found an Instruction Book that I wanted to purchase and the vendor opened the book and stuck his nose in to smell it. After that, he quoted me a price. I later ran into a reprint and noticed the differences. It was then that I figured out why he was smelling the book. The simple test is the smell test. If it smells new, it's new. If it smells a bit musty, it's old. 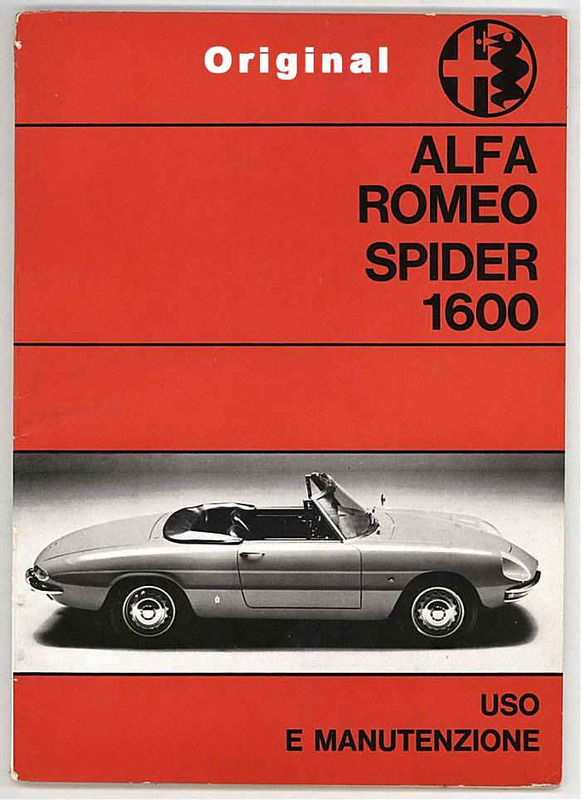 The reprinted Spider 1600 Instruction Book is an excellent reprint. The cover and pages seem to be of a heavier stock than the original manual. The pages will also be a bit brighter and not yellowed. The binding is another give-away. 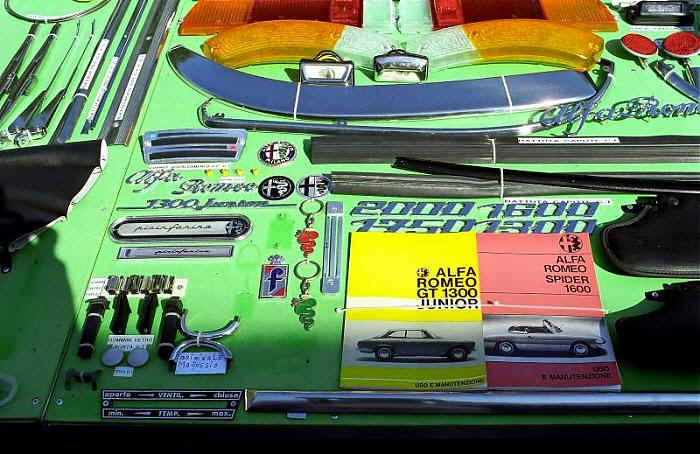 The original manual has a conventional binding, much like you'd find in a hard bound book. The pages are held together with string and the cover is glued to the spine. The hinge for the cover and back will be right along the edge of the book. The reprint doesn't appear to have pages held together with thread. They appear to be glued together much like a paperback book. 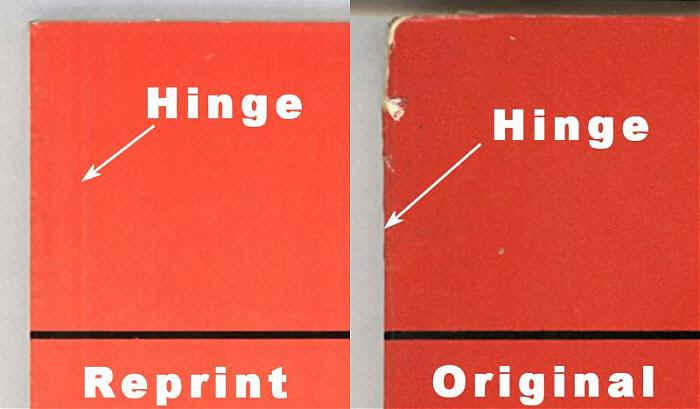 The hinge on the cover and back is 3-4 mm in from the edge. It's hard to see in my scans, but very visible in person. The picture on the cover of the reprint has a warm colour to it. It looks a bit brown compared to the original. The red background looks a bit faded. Lastly, the reprint has a wire diagram that is glued to the back cover. The publication number of the reprint is 1158-R2 dated 5/67.